Pond pumps are usually placed at the base of the pond for either simple pond water circulation usage or to power a filtration system. 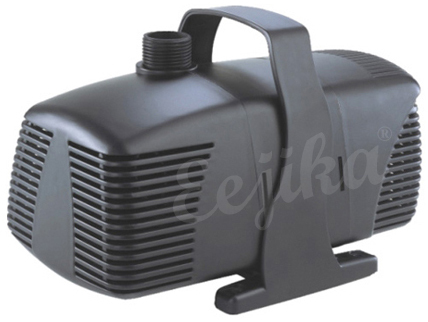 Be it for water ponds or water fountains, these would definitely suit your needs. 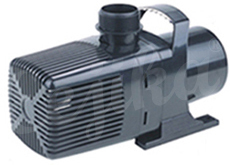 They are also the ideal pumps to run waterfalls, but calculations and determining the size of a pump is important as to allow the effort required by the pump to lift the water to the top of a waterfall. Wear-resistant ceramic shaft, suitable for both marine and fresh water. Fully sealed electrical parts in mount of epoxy resin for safe operation. Multi-functional system, suitable for pumping, filtering and fountains. Vortex impeller with high efficiency, built-in overload and over thermal protection.